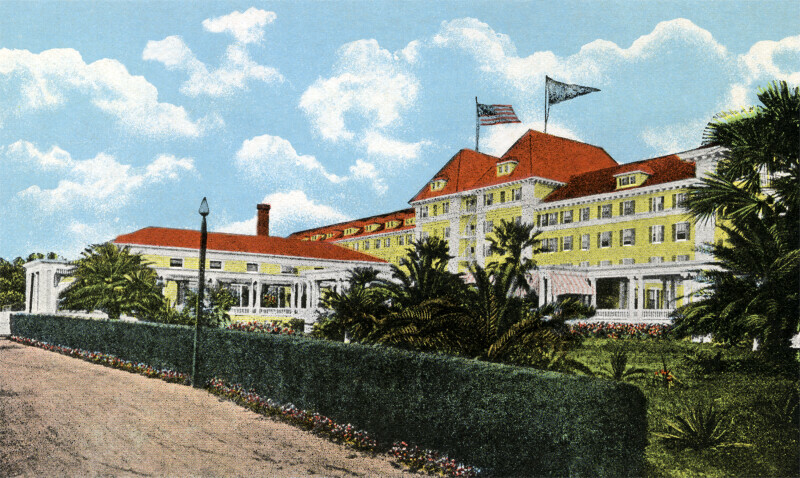 This images shows the Breakers Hotel in yellow, with a reddish-orange roof. The hotel is four-and-a-half story building, with hipped roofs. There appears to be a colonnaded, covered walkway leading to the entrance of the hotel, from the road that passes the front of the building. The road is lined with trimmed hedges.